One day when working with one of my clients, I found myself constantly redirecting him to do his work. He kept looking around the room, staring off into space, and repeating lines from videos he recently watched. When told to look at his paper, he made a grunting noise. We were both starting to feel frustrated and impatient. He simply needed a break to move around. I encouraged him to get up and do 20 jumping jacks. Then he ran around his house 3 times, jumped 30 more times, and suddenly it was as if a weight had just lifted right off of his shoulders (and mine). He immediately sat down, looked at his paper, picked up his pencil and got to work. Here’s why I am sharing this story with you. Movement is incredibly important. Most of us, parents and teachers included, tend to get so caught up in the plan, that we forget that children need to MOVE their bodies in order to focus. By simply taking the time to recognize this fact, and encouraging my student to jump around, he was immediately ready to successfully complete his tasks. Because many children with autism have difficulties with self-regulation and understanding what their bodies need, this child couldn’t find the words to tell me, “Ms. Jen, I need a break to move around.” It’s our job to figure this out. By keeping in mind that your child’s body requires movement in order for him to successfully attend to tasks, you are respecting your child’s needs. 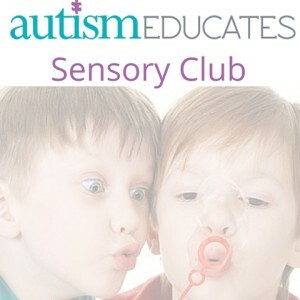 If sensory challenges are taking over your household, be sure to join our Sensory Club for Parents. We get started Monday, May 7th! Click here to join us. For parents who are trying to help their children with autism navigate an overwhelming sensory world. I agree wholeheartedly. I have found intense physical activity decreases aggression and self stimulatory behaviors as well as increases attention to task. 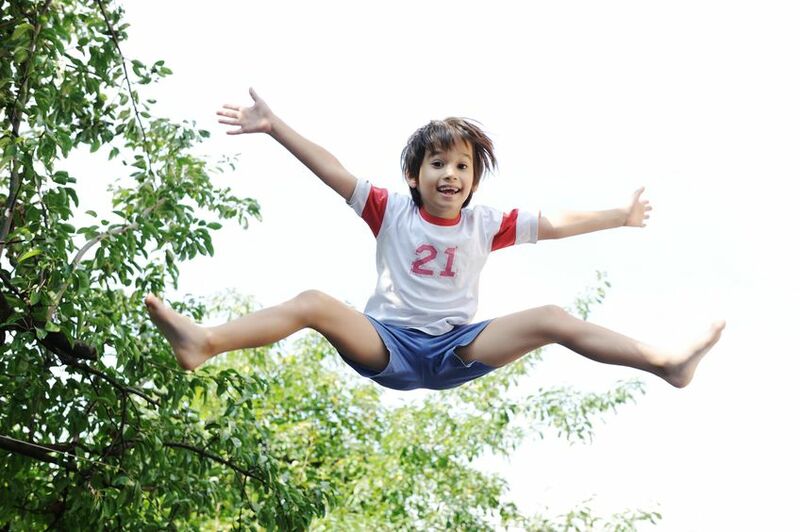 My son is happiest while jumping on a trampoline but he is getting tall/big. What do you suggest as a new activity or other? When should we stop the movement before bedtime. He wants to do it too close I believe and it may be keeping him up. Maybe an hour beforehand? Half an hour? He can jump forever (good for muscles and mood but probably bad for sleep). Perhaps try encouraging him to bounce on a yoga ball. In terms of movement before bedtime, some kids sleep really well from it, because it can calm their body. You know him best though. If he is staying awake or you think the movement is disrupting his sleep, I would try stopping the movement at different times through trial and error. Give it a chance though for approximately 3 weeks, before you change the time again.